Bitsdaq is today announcing the launch of the Bitsdaq Exchange. The Bitsdaq Exchange will be open to most countries around the world for trading. It will provide users with compliant diversified digital assets trading services. 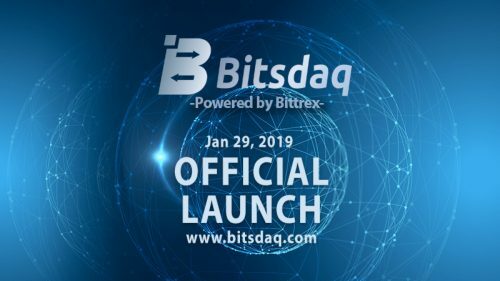 SINGAPORE - January 28, 2019 /PressReleaseAgency/ — Bitsdaq is today announcing the launch of the Bitsdaq Exchange. The Bitsdaq Exchange will be open to most countries around the world for trading. It will provide users with compliant diversified digital assets trading services. 1. Sharing cryptocurrency market depth with other platforms to create optimal liquidity. 2. Access cryptocurrency from other International platforms, providing a broad market. 3. Continuous optimization of KYC and AML processes. 4. A compliant and trustworthy platform with a selection of world-quality projects which will bring opportunities to Asian users in the global market. 5. A best-in-class customer service and education program to support entry level traders.